Mae Jan Peng (Full Moon) – one of the oldest elephants at Elephant Nature Park. A hole was made in her ear in her harder days previous to her retiring at the Park. 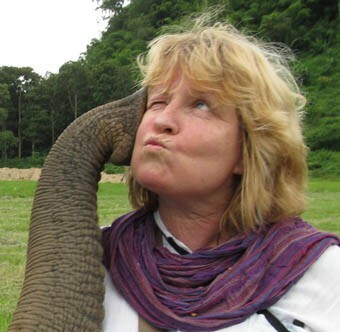 Her mahout now puts a fresh flower in it every day to make her feel more beautiful. 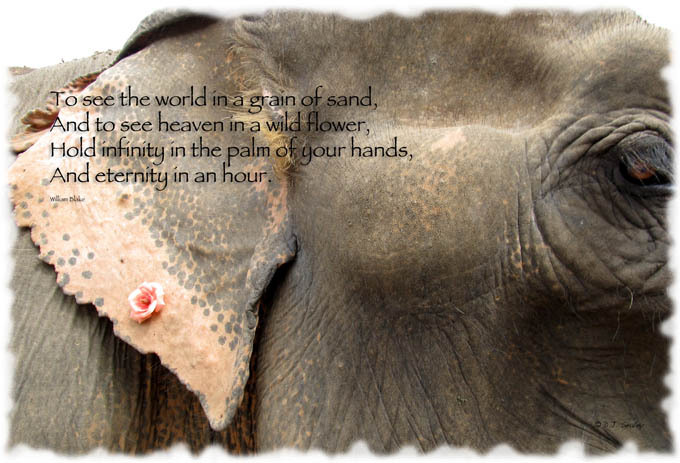 This entry was posted in Elephants, Quotes, Ravings on Thailand, Zen - Zen quotes and tagged Chiang Mai, elephant, Elephant Nature Park, Flower, Full Moon, Quotes, Thailand, Zen - Zen quotes. Bookmark the permalink.